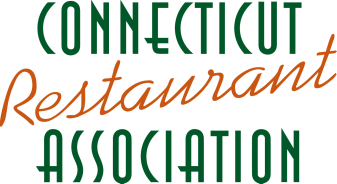 The Connecticut Hospitality Educational Foundation (CHEF), the philanthropic arm of the CRA, awards scholarships each year to students pursuing a career career in the Culinary Arts, Restaurant Management or an affiliated degree. The scholarship is named in honor of former CRA Board Member, Joe DaCosta, who spent more than 35 years in the food industry, including over seven years as the Vice President of Sales for Sysco Connecticut. Joe had a passion for giving back to future leaders in the industry, which is the goal of this fund. The deadline for applications is May 15, 2019. Click Here for the link for the application. The National Restaurant Association Educational Foundation wants to put you on the path to achieving your dreams. The NRAEF offers a variety of merit-based scholarships to students who want an education and a career in the food service industry, starting at $2,500 scholarships. Click here for more details. The ProStart program has articulation agreements with over 60 colleges and universities across the country. Read about them here. The following scholarship opportunities were available to the students competing at the 2019 Connecticut ProStart Invitational. Culinary Institute of America: 1st place $2,000, 2nd place $1,500, 3rd place $1,000. Renewable each year. Gateway Community College: $300 scholarships are available for seniors on the winning team for the Fall 2019 semester. Johnson & Wales University: 1st Place $1,000.00, 2nd Place $750.00, 3rd Place $500.00. Renewable each year. Louisiana Culinary Institute: 1st Place $3,000.00, 2nd Place $2,000.00, 3rd Place $1,000.00. New England Culinary Institute: The New England Culinary Institute awards scholarships in the Culinary Arts and Management Competitions. NECI gives $15,000 ($5,000 per residency) to each 1st place team member, $12,000 ($4,000 each residency) to 2nd place team members, and $9,000 ($3,000 per residency) for 3rd place teams. The Connecticut Hospitality Educational Foundation awards the The Frederick A. DeLuca Foundation Scholarship, a renewable award and the total amount awarded over 4 years is $8,000. GPA requirements apply. Louisiana Culinary Institute: All students that complete and graduate from ProStart I and II receive a $2,000.00 ProStart Excellence Award. This money will go straight towards tuition. Proof of official certification from each state and the NRA is required. The National Restaurant Association Education Foundation offers a variety of scholarship opportunities for ProStart Students as well as others pursuing a a culinary degree. Visit www.chooserestaurants.org/Programs-and-Scholarships.